Since Debby is keeping her distance from northwest Florida, I can safely resume my blogging about our road trip. After visiting with Dave’s side of the family in Pennsylvania, we said our goodbyes — especially to Jacob, who is visiting with Dave’s parents for a couple weeks — and headed 2 hours back down I-81 to my parents in Martinsburg. Our visit with my parents was similarly short, and we enjoyed trips to Costco and Kohl’s with my parents. Costco was awesome since we’re no longer members so my parents bought our stuff and we paid them back. We could stock up on batteries, “Mexi-Coke“, and I also got a nifty clothes-dryer rack. I’m seeing how many days I can go without using my dryer! If you count our vacation, I’m at 12 days so far! Dave and I drove home on Tuesday and Wednesday of last week, and Timmy stayed in West Virginia. Both boys will be home after July 4th. 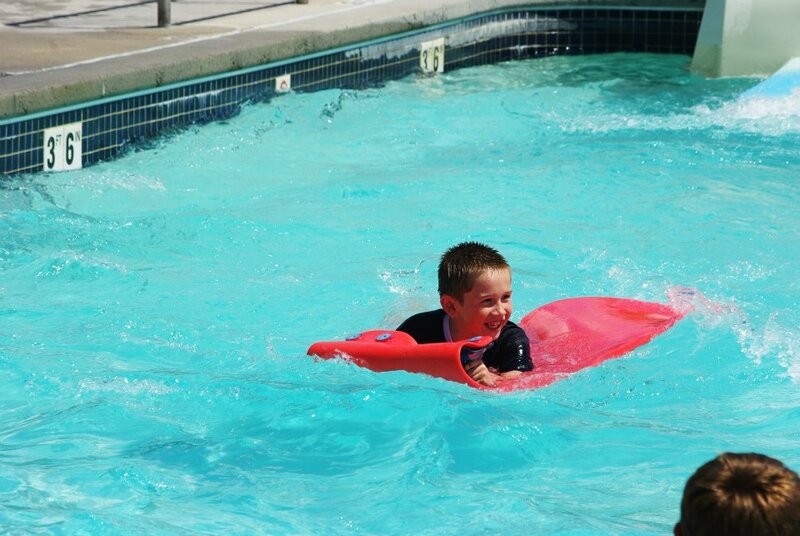 I don’t have pictures from when Dave and I were there, but my parents and sister have been sending great pictures of Timmy enjoying the local water park and batting cages. 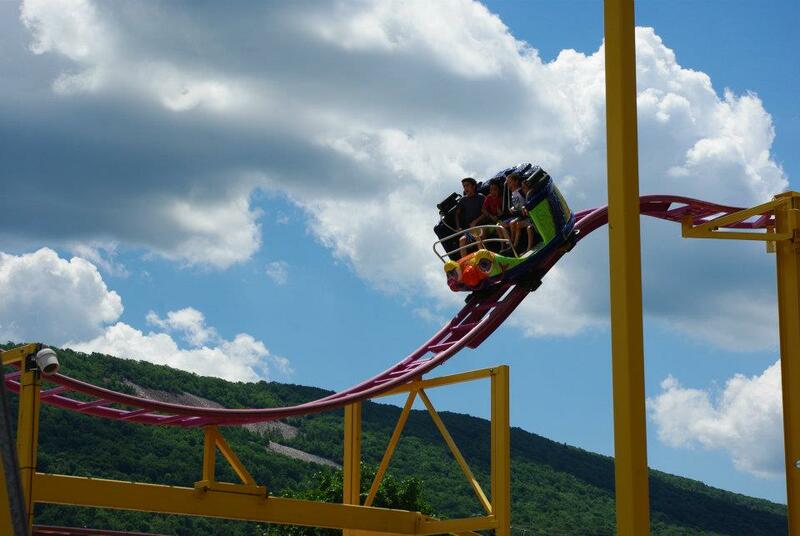 Last weekend my parents took Timmy and my sister’s family to DelGrosso’s Park in Tipton, PA.
Jacob’s having a wonderful time in NY, also. We speak to both boys every other day. 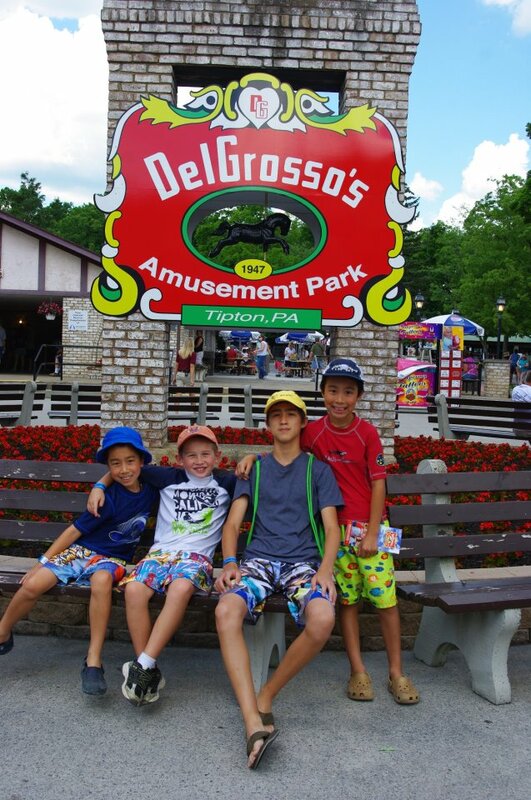 Timmy and his cousins at DelGrosso’s, a small amusement park in central Pennsylvania. 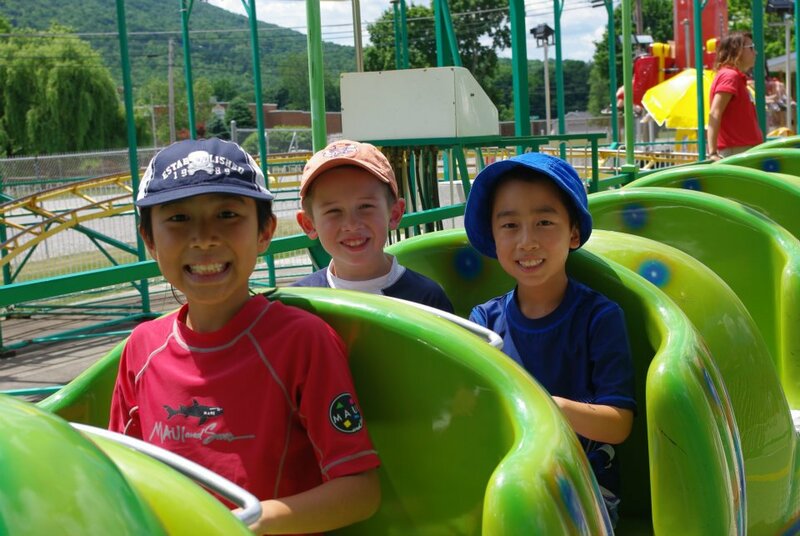 Getting ready to ride the “Caterpillar Coaster”. 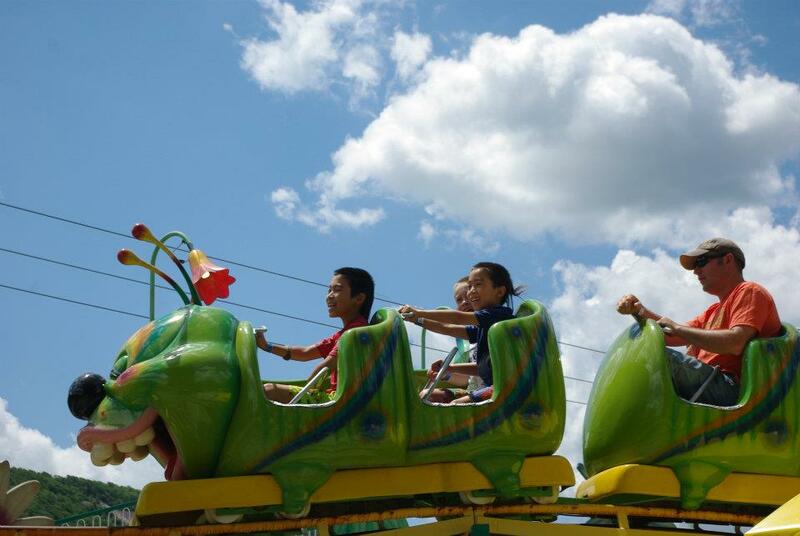 Coming down the “Crazy Mouse” roller coaster with his cousins. Can you see their faces? Word on the street is that Timmy LOVES thrill rides. I think we’ve created a monster here! 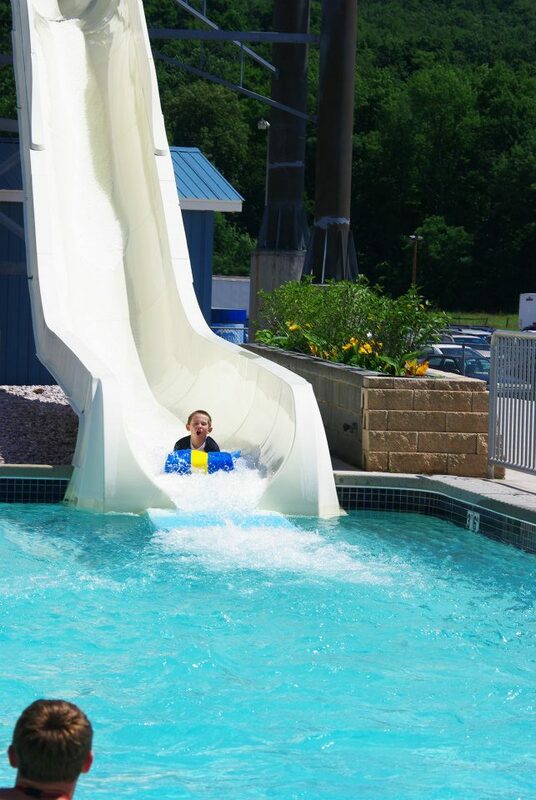 Timmy enjoyed the water slides also. It’s remarkable to think that he’s now tall enough for most of these!